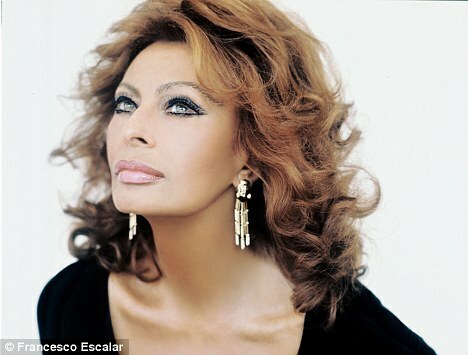 Sophia Loren my great inspiration! Since I will travel to Rome end of this week I decided to dedicate a post to one of my greatest inspirations Sophia Loren. Sophia is to me more than an icon, she is something more inspiering and more emotional. Her image and persona puts such a godess inpact that makes me as a woman feel great and positive. Cardinal Bertone once commented about cloning her. Dignified, charming and perceptive, with perfect comic timing, she is quite simply an international treasure. As a statuesque teenager, she entered a beauty contest, came second, and encountered Carlo Ponti – 23 years her senior – a film producer who would become her mentor and the love of her life until his death. Older, shorter and altogether less alluring than his wife, he recognised her talent and masterminded a career that moved, almost seamlessly, from walk-on parts in low-budget Italian films to starring roles in Hollywood blockbusters alongside actors such as Frank Sinatra, Charlton Heston and Marcello Mastroianni, in movies such as The Pride and the Passion, El Cid and Marriage Italian Style. Sophia believes she was lucky to have experienced such a strong and lasting love. ‘When you fall in love with someone, you love everything about them, even their faults. You say, “He is so lovely. My God, you should see him eat, he eats like a pig – I love it.” But when you start not liking those faults the love is over. With Carlo I loved everything. Nothing about him irritated me whatsoever,’ she smiles. She has always followed her heart and enjoyed life her way. Her curves is nothing she has never denied and always used as a gift. The roles she played in the movies was never only about her beauty, she took challanges and entered the life of the carachters with such great emotions, passion and not least her humor. I specially loves her De Sica movies and Ieri Oggi Domani is one of my top movies ever. No need for over the top scenography, special effects and extraordinary costumes. It is just simple at it´s best. Stories about peoples lives. Sophia ia a true icon!! By the way anyone know if the apartment in the clip below is availeble?